I'm here with another Some Odd Girl card and this one is using the two new nerdy/geeky stamps that came out recently. I thought it would be fun to combine them both, and to give Geeky Gwen a bit of rainbow hair. Just coz you're a geek, doesn't mean you've got no style right?! 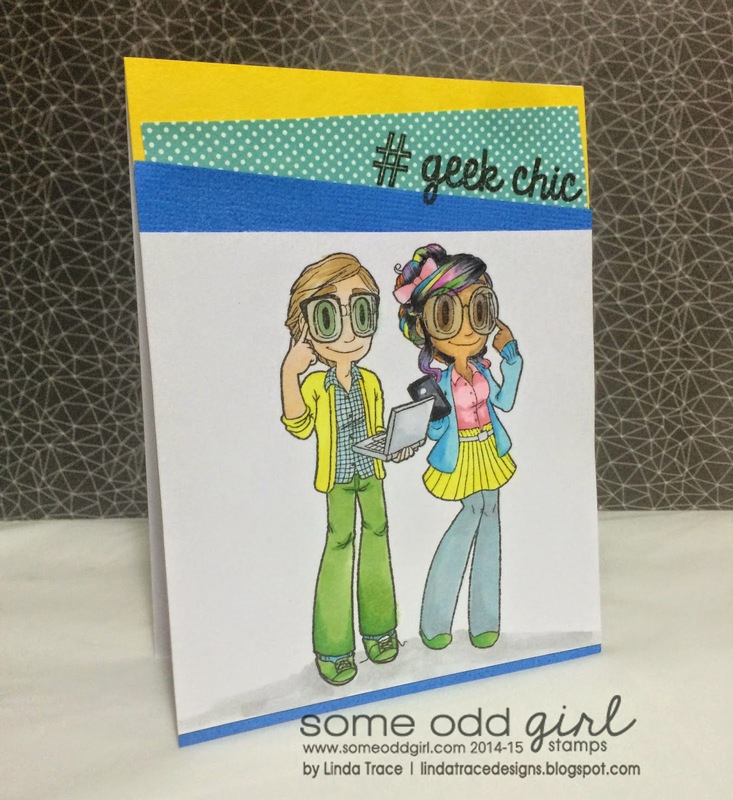 Some Odd Girl FOND FAREWELL Blog Hop! My New Class: STRESS FREE POCKETS!! Collab time at A Blog Named Hero!